As reported by CNN a U.S. Air Force (USAF) WC-135 was intercepted by two Chinese Sukhoi Su-30 fighters on May 17, 2017 while flying in international airspace over the East China Sea. “While we are still investigating the incident, initial reports from the U.S. aircrew characterized the intercept as unprofessional. The issue is being addressed with China through appropriate diplomatic and military channels,” He explained. 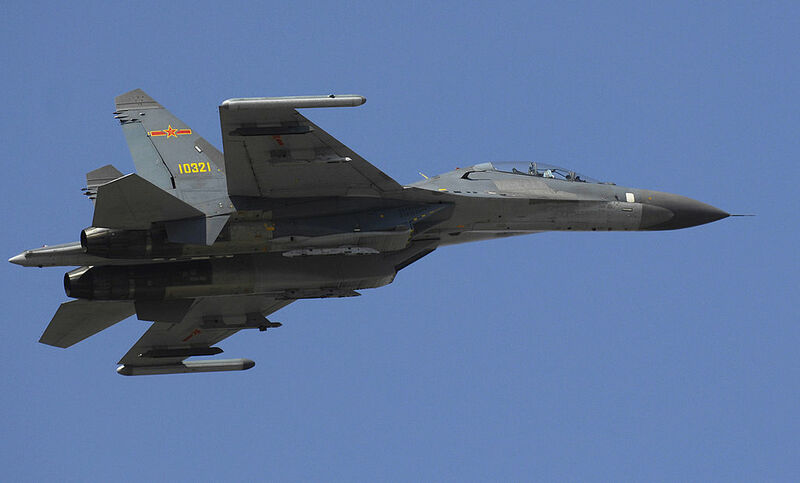 A U.S. official told CNN the two Chinese jets came within 150 feet of the U.S. plane, with one flying upside-down directly above it. The WC-135 Constant Phoenix, whose mission is looking for distinctive elements a nuclear test of any type would emit into the air, has been regularly deployed on routine missions in Northeast Asia where it has been used to gather evidence of possible nuclear tests by North Korea. Noteworthy Wednesday’s incident was the second between U.S. and Chinese planes this year. In February in fact an “unsafe” close encounter between a U.S. Navy P-3 Orion aircraft and a Chinese surveillance aircraft took place over the South China Sea. In that incident, a U.S. official revealed that the U.S. Navy plane had to alter course to avoid a collision with a People’s Liberation Army Air Force KJ-200. The planes came within 1,000 feet of each other, U.S. officials said. However despite the February incident, U.S. officials said close encounters between US and Chinese forces are extremely rare, with no such incidents in 2015 and two in 2016.